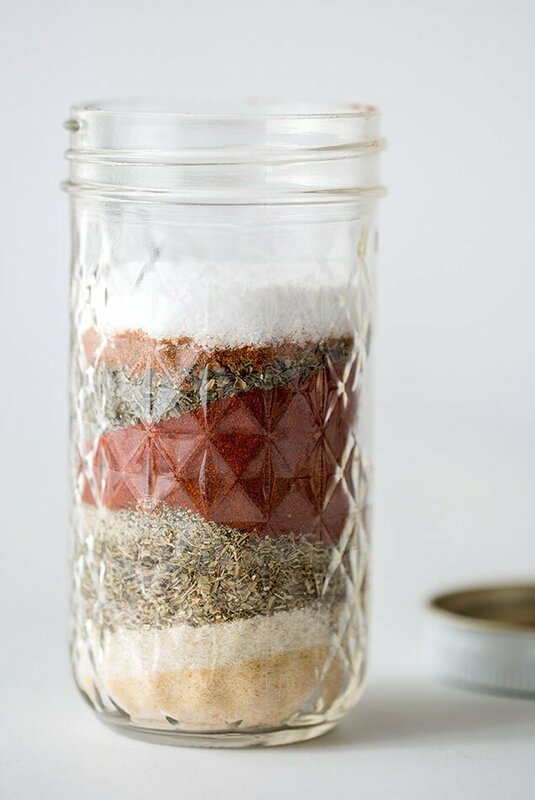 Having a good homemade Cajun Spice Blend in your pantry is handy and inexpensive. Use this Cajun seasoning as a spice rub for chicken or in a pasta dish. Sometimes you just need to kick thinks up a notch! Back in the day when I was experimenting with recipes from other regions of North America, I would occasionally make a Cajun inspired dish. Every time, I wished I’d had a good Cajun spice blend to season it with. I decided to make my own blend. I’m always inspired to make new seasoning blends after a trip to Marketspice in Pike Place Market. They have an amazing assortment of spices and blends. I made several versions of this Cajun Spice Blend and finally settled on this one. This blend has a little kick to it. Add more of the cayenne if you really want some heat! It’s super easy to whip up a batch, and it lasts a long time if you keep it sealed in a mason jar. HINT: Makes a fun gift! Yummy spice in a decorative jar with a cute ribbon or label on it! This blend is extremely versatile, so go ahead and try it on chicken, pork, beef, rice, BBQ, pasta, or whatever your little heart desires! Try my Instant Pot Creamy Cajun Pasta with Sausage. 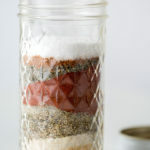 A Cajun inspired spice blend that has a nice amount of heat and plenty of flavor. A versatile blend you can use to season shrimp, chicken, meat, rice, soups, casseroles, kabobs, or any recipe that needs a kick of flavor and a hit of spice. 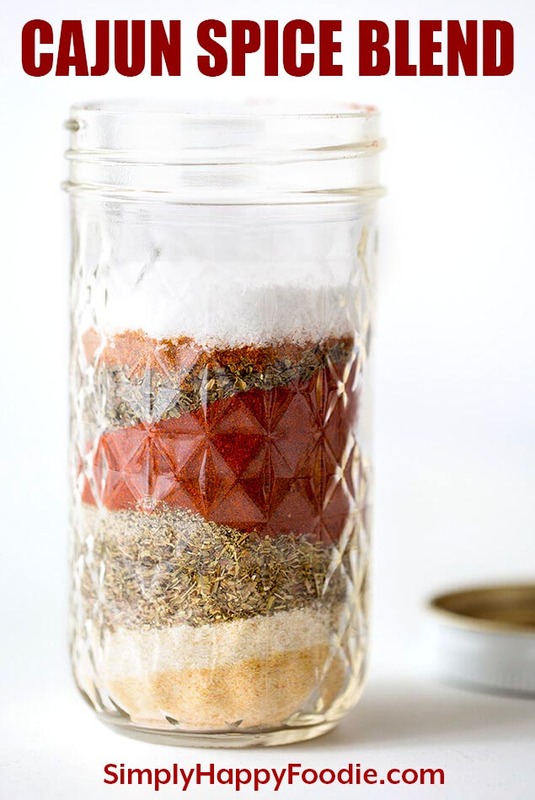 Add all ingredients to a mason style jar, put the lid on, and shake well to mix the spices up. Store covered, in a cool, dry place.